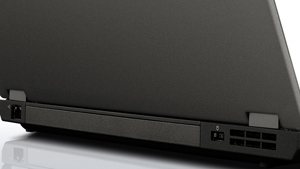 Performance, efficiency and durability make the T440p the corporate laptop workhorse that sets the benchmark. With its powerful Intel Core processor, award-winning keyboard, and military-grade durability, road warriors and mobile professional will move confidently through every business task and every business day. 4th generation Intel Core processors deliver the performance to increase productivity for your business. Devices turn on in an instant and are always up-to-date. You can multitask quickly and move effortlessly between applications, collaborate wirelessly in a high quality video conference — all with the convenience of longer battery life. Plus, you can guard against identity theft and ensure safe access to your network with built-in security features. In fact, the only thing more amazing than an Intel Core processor-based PC is what your users will do with it. 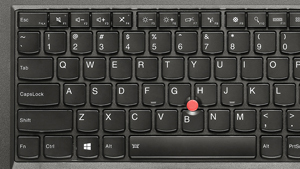 Full-sized and spill-resistant, the ergonomic ThinkPad keyboard is renowned for its array of keys, excellent feel and TrackPoint pointing. 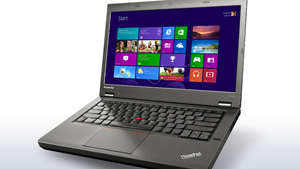 Optimized for Windows with convenient multimedia buttons and immediate access to view apps, it has LED status indicators and function-lock capability. With a larger, smooth trackpad and 5-point click integration - indicated by subtle bumps and stripes, the keyboard can be configured multiple ways, while the optional backlight makes working in the dark effortless. Store data locally on your choice of a standard hard disc drive or ultrafast solid state drive. 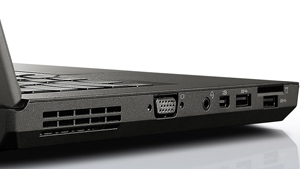 And transfer data ten times faster with two USB 3.0 ports.